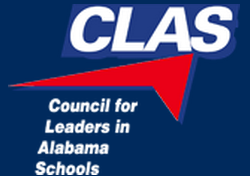 I was fortunate to have the opportunity to provide a keynote and a breakout session at the AASSP/AAMSP Fall Conference which was organized by Council for Leaders in Alabama Schools in Orange Beach, Alabama this week. The two sessions were titled – Leading in a Learner-Centered Environment and Transparent Leadership. During each of the sessions, I used Socrative and allowed audience members to ask questions using the short answer option from Socrative. (See the responses below). At the end of the sessions we had a chance to answer a few of the questions, but there were a few that we did not get to discuss. Since the list is relatively short, I will respond to all of the questions below. The question above was a key focus of the session on Transparent Leadership as we discussed not only why it is important to network, but how to use digital resources to expand our networks beyond what we were capable of in the past. Who you know and who you can learn from has always been an important factor for individuals. It is imperative that school leaders are modeling the use of the most current resources to show all of the learners in their communities how they build their network to collaborate and learn with/from others. If your school allows students to bring their own devices, what are the major obstacles? We provide the devices for students here in Burlington where all of the students have iPads. There is a lot of information out there about BYOD programs. Here is an article that Peter DeWitt wrote for Education Week back in August. I have also saved a number of articles on BYOD in my Diigo bookmarks. How do you transition from NO CELLPHONE POLICY to allowing cellphones in School? Here’s a link to a blog post that I wrote back in 2009 when we started to discuss the change in our policy. The bottom line for me is that we need to provide more resources to our classroom teachers and not take away access to resources that they want to utilize in their classrooms. Our change in the handbook the next year went from “no cellphones” to “cellphones may be used at the discretion of the classroom teacher.” Due to the smooth nature of the transition, we opened it up the following year to cellphone use in the cafeteria and in the halls between classes. What happens when a student is found abusing the cellphone policy? The protocol is pretty similar to most situations where students are not compliant with school regulations. The first offense is a warning along with a discussion to find out what necessitated the use of the cellphone in a disruptive manner, the second offense and subsequent offenses call for the device to be sent to the Assistant Principal’s Office to be claimed by a parent. With the move to all students having iPads in the school, the use of cellphones in a disruptive manner has really been a non-issue. Do you have suggestions for funding? At BHS we looked at some of the things that we had spent money on traditionally (i.e. textbooks) and decided we were going to use these funds differently. In addition, we cut way removed a number of printers and cut back on our paper consumption. While these savings did not cover the entire cost of the devices, we did get a good start in covering the cost. How do you tackle lack of connectivity outside of school? In our town connectivity outside of school is not an issue. We have a number of businesses in town that have free wifi. In addition, most people have a wireless connection at home. For those who have a problem with this expense, Comcast offers internet access for low-income families for $9.99 a month. Battery power concerns for mobile devices? Battery life was definitely a concern for us at BHS, especially when we considered the fact that the electrical infrastructure in our 40-year old building would not easily support 1,000 mobile devices being plugged in daily. Fortunately, the iPad solved this issue with its battery-life lasting multiple days for most students.